To Inspire, encourage & develop golf skills and life skills in a progressive fun learning environment for kids of all ages and skill levels. Our passion is to engage parents & kids in quality family time on the golf course for a lifetime! 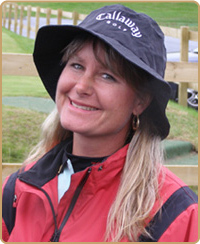 All programs are directed by Sheryl Maize, 2015 LPGA Junior Golf Leader of the Year and US Kids Top 50 Instructor. Sheryl is a passionate learner and strives to incorporate the latest trends and research into all of her Amaizing Youth Golf Programs. Research indicates group instruction is a fantastic way to foster discovery, learning and sample competition through fun drills & games. As a TPI Certified Level 3 Junior Coach and US Kids Certified Instructor, Sheryl incorporates the most advanced motor skills training & fitness training combined with the concepts of LTAD (long term athlete development) into each program. Your kids are sure to have a great time while learning crucial motor skills that will make them better athletes and enhance their golf swings! As a Positive Coaching Alliance (PCA) Coach Sheryl is thrilled to be a Double Goal Coach instilling a desire to win along with learning life skills from the life time sport of golf! Golf provides a fantastic opportunity to develop character, patience and perseverance as well as life long friendships. So, whether your child is interested in learning golf as a lifetime sport or pursuing playing at the high school, college or professional level, there is a place for your junior in our diverse offerings! These FUNdamental Lessons are open to boys and girls ages 8-12 and are a perfect start to the golf season! All skill levels will benefit! First session meets at the PUTTING GREEN. These dynamic fun-filled training sessions are designed to introduce your youngster to golf in such a way to hook them on golf for a lifetime! We will build on motor skill development, play fun games and introduce golf terms. We will cover putting, chipping and full swing concepts. Pee Wees are required to bring an adult Trainer to train along side them~ we will show you how to best support and encourage your young golfer while keeping you both safe and having fun! Thursday Pee Wee Session is SOLD OUT. Please Email Sheryl at Sheryl@amaizinggolf.com to get on a wait list. Wednesday’s LPGA Girls Only Session is SOLD OUT Please Email Sheryl at Sheryl@amaizinggolf.com to get on a wait list. Our most popular program~ Specially designed for new to intermediate juniors age 8-15 who have not begun playing competitive golf. This program lays the foundation for golf to be enjoyed for a life time, regardless if your child wants to play just for fun with friends & family or to pursue playing in high school, college or beyond! Training Days focus on having fun while developing solid fundamentals in putting, chipping, pitching and full swing. Juniors will focus on grip, posture, alignment while also being trained in rules, etiquette, golf fitness and the history the game. Each group will be broken into smaller groups to adjust for age & skill level differences. We are passionate about helping kids develop skills for life and golf! Weekly on-course Play Days make this program unique and a wonderful introduction to learning how to play the game! Youth can choose between 9 holes or 4 holes on Play Days. We have US Kids Family Tees on the back nine for our new golfers to play from shorter tees making their experience more fun! We ask that a parent/guardian volunteers to walk with 4 holers. Volunteering is a great way to be a part of your child’s growth & development on the course. We are looking for adults to be positive, encouraging and to help with the pace of play & safety~ no instruction on Play Days! Amaizing Golf tee shirt and tons of FUN! Club Assessment~ US Kids Golf Clubs will be available to Demo or order! *ALL Girls MUST be members of the LPGA Girls Golf of Lakeville MN. Email Sheryl about cost and availability! Development Camp provides a great way for juniors to work on the fundamentals of putting & green reading, chipping, pitching, bunker and full swing during four consecutive days of lessons. These popular camps include TPI golf fitness drills, fun US Kids games & team challenges, snacks, Amaizing Golf tee shirt and an opportunity to make new friends. Depending on group size, camp will be broken into smaller groups to accommodate different age & skill levels. Fun is guaranteed! Space is limited~ Camps sell out fast! Player’s Camp is designed for boys & girls age 12-17 who play regularly, compete in tournaments or who are looking to play in tournaments. 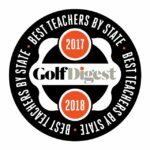 We will review the fundamentals of the short game and long game while incorporating more advanced training and skill development as well as mental and emotional management. We will cover proper nutrition, TPI golf fitness drills and the best way to practice for success during our 8 hours of instruction over 4 consecutive days. This camp is sure to elevate your junior’s game. We will continue to train to learn but more focus will be on training to compete by incorporating games & fun competition. Space is limited. LPGA Girls Only Camp will *Engage *Enrich *Energize *Empower *Exercise our GIRLS! LPGA Girls Camp is a special opportunity for girls to work on the fundamentals of putting & green reading, chipping, pitching and full swing together during four consecutive days of instruction. The girls will have 8 hours of instruction during this popular camp which will include TPI golf fitness drills & games, nutrition and rules education. This camp is geared towards new to intermediate juniors ages 7-15. Camp will be broken into smaller groups to accommodate age and skill differences. We will train to learn and then work on training to compete by introducing fun games. In Girls Golf we always include life skill development, social time and sweet treats! FUN is always guaranteed. Space is limited! These classes consist of (4) 1 hour sessions covering the fundamentals of putting, chipping, pitching and full swing. Taught by Sheryl Maize at Crystal Lake Golf Course and offered through the City of Lakeville Park & Rec. You must register and pay through the City. First session meets at the Putting Green. Juniors are encouraged to bring their own clubs or indicate if clubs will be needed and if so, left or right handed. Continuation of our most popular Youth Development Program! As a certified US Kids Instructor, Sheryl is excited to blend her TPI Junior Coaching background with the latest US Kids drills and games to make the learning experience even more fun for our youth! It lays the foundation for golf to be enjoyed for a life time-regardless if your child wants to play just for fun with family & friends or pursue playing in high school, college or beyond! These weekly Lesson/Training Days are designed for new to intermediate juniors age 8-15 who have not begun playing competitive golf. Focus is on having fun while developing a solid foundation of skills in putting, chipping, pitching and full swing. Juniors are also trained in etiquette, rules, golf fitness, the history the game and it’s players throughout the program. During this Essential Playing Skills Junior/College Program, students will learn foundational playing skills to play their best golf ON the golf course. Students will learn tools to manage themselves on the golf course. We will focus on the mental, emotional and social skills that directly teach focus, trust and confidence~ essential to shooting lower scores and enjoying the game more! Concepts from the book Play Your Best Golf Now and Be A Player by Lynn Marriott and Pia Nilsson~ coaches to numerous LPGA & PGA Tour players including Annika Sorenstam~ will come alive in this program! After attending multiple Vision54 Coaching programs in AZ, I knew I had to bring the concepts from this exceptional program to Minnesota! It has changed my teaching/coaching and impacted my life in amazing ways! Must Contact Sheryl for availability!